God wants to work through an elder board. Look at Numbers 11; verses 16-17 and then 24-25, “16 The Lord said to Moses: “Bring me seventy of Israel’s elders who are known to you as leaders and officials among the people. Have them come to the tent of meeting, that they may stand there with you. 17 I will come down and speak with you there, and I will take some of the power of the Spirit that is on you and put it on them. They will share the burden of the people with you so that you will not have to carry it alone. God established and empowered under-shepherds who could share the burden of responsibility with Moses. Moses could never lead the people on his own. There was just too many. God understood this and he established elders to co-lead with Moses. God wanted to work through the elders. God could have sent the food (manna) on his own. His voice could have boomed out of the heavens communicating directly to the people. But he chose to work through Moses and through the elders. He wanted the elders to witness all that was going on among. He wanted them to be there to witness and to lead. 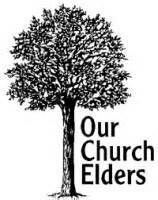 A ministry can never ignore the need for elders in the church. The elders prophesied by the Spirit of God. These were not just some rubber stamping elder body. They had the Spirit of the Lord. They were actually prophesying by the power of God. They had the very words of God to tell the people. Elders should never be a voiceless body. God wants to speak through them. He wants to communicate to his people through them. When the Spirit of the Lord came upon the elders, they could function in the service of the Lord. Look at verse 25. Without God’s presence they could do nothing. But with the Spirit of God they could stand as a very effectual elder body that could be used to build up the work of God. It is possible to have an elder board that does not have the spirit of God. It is possible to have an elder board filled with people who are not even saved, or who are not inspired nor led by God. The elder body needs to be led by the Spirit of Christ. These two elders were of the seventy. They could not come to the tent with the 68 others for other duties demanded their attention. Yet, the Spirit of God came down on them too. God respected them. God respected the reason for their absence. They had their reasons. No matter where they were, God spirit came upon them and they prophesied. Joshua was upset about these two men, who did not come to the Tabernacle. He felt that they had no right to prophesy along with the rest, for they did not show up. But Joshua was wrong. The fact that they were prophesying showed that God approved of these men. God chose to work through them. But Moses would not go there. He would not forbid these two elders from prophesying. He saw God’s work in them and was satisfied that God accepted them. This incident reminds of an account about Jesus and his disciples in Mark 9:38-41. The disciples wanted Jesus to forbid someone from driving out demons because they were not one of the twelve disciples. But this type of attitude was rejected by Moses and Jesus. It is a narrow way of thinking. It put limits on God for God can work through whomever he chooses to work through. We need to be careful about who we think should be rejected and who should not. We need to be sensitive to God’s leading and support whom God chooses to support. Moses was glad that God gave his Spirit to all of the seventy elders. He could have been resentful. Moses could have felt that the elders were pulling the carpet from underneath him, undermining his authority. But he wasn’t. He was genuinely happy that the elder board was blessed by God and granted authority to minister. How easy it is for us to be upset when some of the authority we have, is taken away and distributed to others whom we feel are lower in the totem pole than we are? We need to be happy when God raises up leaders and places his spirit upon them. They are a vital part of the body and a much needed component of any church. A church can not be propelled into the future without a new generation of elders who can stand before God and speak by the Spirit of God. I remember how I led a house church for fourteen years. I never even tried to form an elder board. I thought, “How dare anyone think I should give up the authority when the house church was in my house and I offered the most money?” I also felt that no one was committed enough to ever be an elder. And so there was never an elder board. And do you know what? The house church ceased to exist and is now a field of grass. I definitely learned my lesson. You can never do it alone or just with your family and God wants elders who are led by the Spirit of the Lord.